Statistical process control for autocorrelated processes have been addressed using the EWMA (Exponentially Weighted Moving Average) one-step-ahead forecast or simple ARIMA (Auto-Regressive Integrated Moving Average) models. The time series model forecasts the motion in the mean and an Individuals control chart is plotted of the residuals to detect assignable causes. Failure to account for the autocorrelation will produce limits that are too narrow resulting in excessive false alarms, or limits that are too wide resulting in misses. The challenge with this approach is that the user needs an advanced level of knowledge in forecasting methods to pick the correct model, especially when there is negative autocorrelation or seasonality in the data and ARIMA models are needed. This session introduces recent developments in time series forecasting that use modern techniques with automatic model selection to accurately pick the simplest time series model that produce minimum forecast error. An accurate forecast for your time series means the residuals will most often have the right properties to correctly apply a control chart, thus leading to an improved control chart with reduced false alarms and misses. 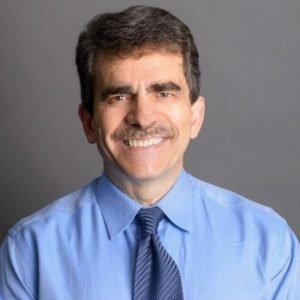 John Noguera CTO & Co-founder SigmaXL, Inc.
John Noguera is Co-founder and Chief Technology Officer of SigmaXL, Inc., a leading provider of user-friendly Excel add-ins for Lean Six Sigma tools, statistical & graphical analysis and Monte Carlo simulation. John leads the development of SigmaXL and DiscoverSim with a passion for ease-of-use, practical & powerful features, and statistical accuracy. John is a certified Six Sigma master black belt and was an instructor at Motorola University. He co-developed Motorola’s External Six Sigma Green Belt program which utilized the SigmaXL software tool. John was fortunate to have started his involvement with Six Sigma being mentored by the originator of Six Sigma, Bill Smith. John has specialized in teaching statistical methods and consulting in the implementation of Six Sigma Quality – with a focus on practical application with return on investment, in manufacturing, service and transactional areas. Since 1989, he has provided consulting and training services to more than 5000 black belts, green belts, managers, engineers, and business professionals in North America, Central America, Australia, Asia, Middle East and Europe. John has a B.A.Sc. in Electrical Engineering (1981) from the University of Waterloo. He is a member of the Professional Engineers of Ontario (PEO), American Statistical Association (ASA), INFORMS and Senior Member of the American Society for Quality (ASQ). He has authored conference papers on Statistical Process Control and Six-Sigma Quality and has been a guest lecturer at the University of Notre Dame. He is a contributing author in the Encyclopedia of Statistics in Quality and Reliability (Wiley).